Mary Redepenning (left) with her sister, Barbara Miller. One of eight children, Mary Redepenning is close with her siblings, especially her four sisters. So when she found out her oldest sister, Barbara, who lives in Portland, Oregon, would need a kidney transplant, Mary began the process to find out if she could be Barbara's kidney donor. Her three other sisters were tested, too. Mary and one of her sisters were both a match. Mary wanted to be the donor. "How could I not do this for my sister?" she asks. "It was the right thing do." Making her choice even clearer was the option for Mary to donate a kidney to her sister without traveling to Portland. From her home in Atwater, Minnesota, Mary drove to Mayo Clinic's Rochester campus in April for the surgery to remove one of her kidneys for Barbara's transplant. The organ then was transported to Oregon. Mary says being able to donate remotely is what made the gift to her sister possible. "Flying out to Portland several times for testing and then for the surgery would have been expensive and stressful. It just wasn't a good option," Mary says. "I wanted to have my kidney harvested near where I live." Once Mary learned Mayo Clinic could do the remote donation, the decision to move forward came quickly, and soon Barbara had a new kidney. Mayo Clinic and Legacy Good Samaritan Medical Center in Portland — the hospital where Barbara was having the transplant — are members of the National Kidney Registry. That meant Mary and Barbara could participate in remote kidney donation. Theirs would be the first conducted by Mayo Clinic for a transplant to be performed outside of Mayo's three campuses. Having remote donation available is a significant step forward, according to Kay Kosberg, a living donor care coordinator at Mayo Clinic's William J. von Liebig Center for Transplantation and Clinical Regeneration. "I think more donors would step forward if they knew they could stay in their own cities." "The financial piece can make it difficult for the donor. It can be a big barrier to have to take time off from work, travel and find someone to take care of their family," Kosberg says. "The National Kidney Registry facilitates getting the kidney from point A to point B. That's the pearl to this — having the donor stay local." With an average wait time for a kidney from either a living or deceased donor at two years, Kosberg says the option of remote donation also could have the benefit of making more organs available to people in need of a transplant. "There are 100,000 people nationwide waiting for a donor," Kosberg says. "I think more donors would step forward if they knew they could stay in their own cities." A month before the surgery, Mary had three days of testing at Mayo Clinic. The test results cleared the way for the surgery, and on April 17, Mary underwent the procedure to remove one of her kidneys. "I can't say enough about the Mayo staff and the quality of the surgeons. My kidney nurse coordinator was amazing. She followed me through every step of the way," Mary says. "My surgeon, Mikel Prieto, M.D., has such a pleasant disposition. He was never in a hurry to get through an appointment. Everyone always put the focus on me and how I was doing, explaining the procedures, explaining and going over every aspect of testing that was done." After Dr. Prieto performed the surgery to remove the kidney, Mary says he took a picture of it and texted it to her husband, who then sent it to Barbara. "I felt such gratitude and awe that she would do this," Barbara says. "I'm back to 100 percent. If I could, I would do this again in a heartbeat." Mary was discharged from the hospital two days after surgery. She says she was well-prepared because she was given so much information about what to expect, and her recovery was easy. "I'm back to 100 percent. If I could, I would do this again in a heartbeat," Mary says. "I'm singing the praises of Mayo. It's an amazing facility." 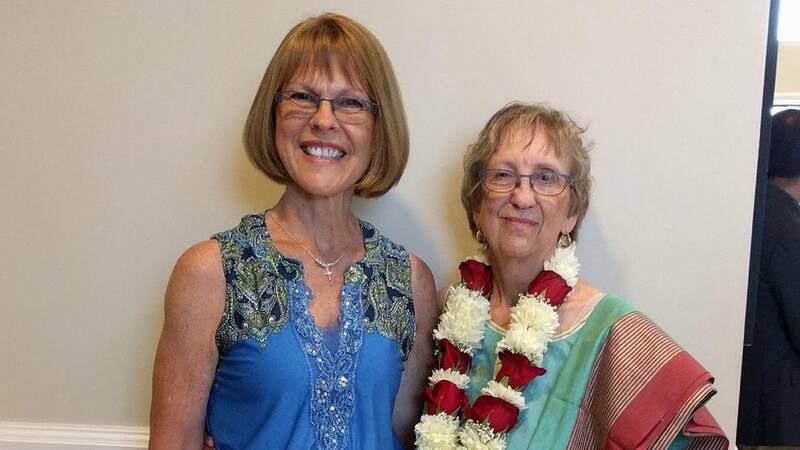 In June, both sisters traveled to Sacramento, California, for Barbara's daughter's wedding — an event that Barbara wasn't sure she'd be able to attend prior to finding a donor. "Everyone said I looked 10 years younger than I had prior to the transplant," Barbara says. "For me to be healthy enough to participate was just a really big deal."